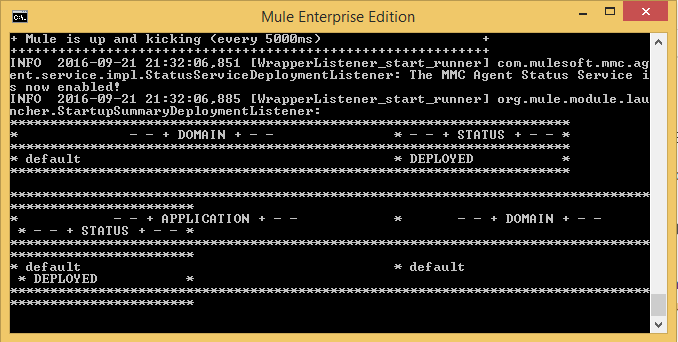 Once you have completed the Mule ESB application, you will need to deploy it to the Mule Enterprise Server. So, in this tutorial, I will guide you how to deploy Mule ESB application to Mule Enterprise Server! – First of all, we need to install Mule Enterprise Server. You can refer to this tutorial. 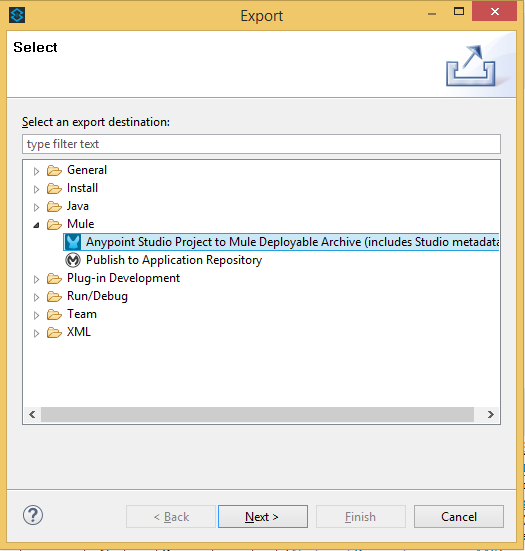 – Next, we need to export our Mule ESB application in Anypoint Studio to deploy to Mule Enterprise Server. In the Export window, you open the Mule folder and select “Anypoint Studio Project to Mule Deployable Archive (includes Studio metadata)”. Click the Next button to continue. At this point, the Export Mule Project window will be displayed so that we can choose where to save the exported ZIP file. You can choose anywhere in the drive to save this ZIP file. Click Finish to finish exporting. – Finally, we will copy the ZIP file in the previous step and paste it into the apps folder of Mule Enterprise Server. Here we have completed the deployment for our application Mule ESB!